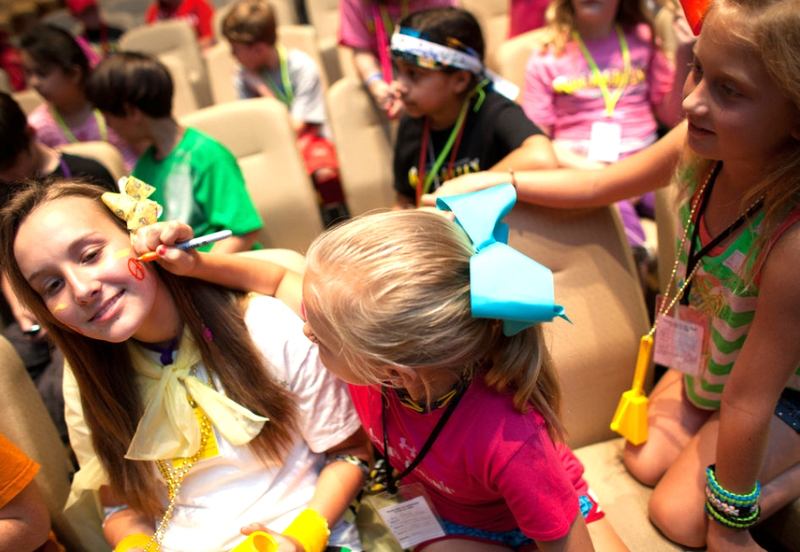 When it comes to choosing a vacation Bible school theme, there are a number of options available. 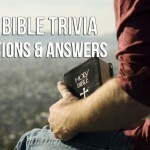 You can choose to build your lessons on an Old Testament or New Testament theme, a Bible character, a Christian character trait, or a secular favorite, such as a cartoon, movie, or other currently popular theme. We have suggested themes for all of these categories so you can choose one perfect for your congregation. Present the seven days of creation using songs and activities for children and material on Christian evidences for adults. An excellent theme to build confidence in God and help all ages navigate through the challenges of everyday life. Lessons about the Israelites, the purpose of their nation (to bring a Savior for the World), and God’s reaction to the nation of Israel’s disobedience and ours. Matthew 28:6 NIV He is not here; he has risen, just as he said. Come and see the place where he lay. 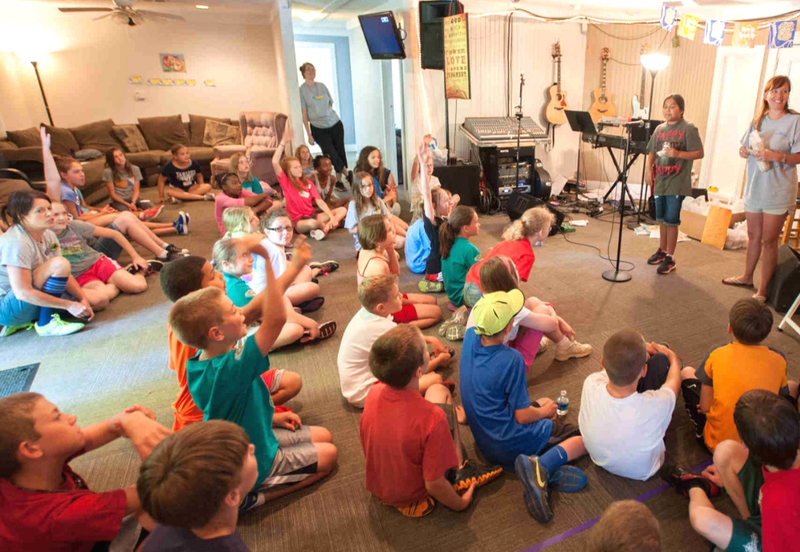 A lesson not just for Easter, but for VBS to remind all ages of the promise of eternal life. Galatians 3:26-28 So in Christ Jesus you are all children of God through faith, for all of you who were baptized into Christ have clothed yourselves with Christ. There is neither Jew nor Gentile, neither slave nor free, nor is there male and female, for you are all one in Christ Jesus. In a society often divided into classes and social groups, and along ethnic and racial lines, this verse offers hope of peace and love for those in Christ. A good way to emphasize putting others first and a life of service to the church, community, and family. Study the book of Jonah in depth for adults, with an emphasis on what happens when we do not obey God’s commands. Kids love this story and never get tired of hearing about Jonah being swallowed by a big fish. Teach about the shepherd boy who became king for younger grades, David’s sin, the results, and God’s forgiveness for adults. Trace Paul’s missionary journeys, conversion on the road to Damascus, persecution, and determination to preach the gospel. His life, miracles, parables, birth, death, and resurrection, all make excellent choices for VBS lessons. A theme based upon either the book of Ruth or Esther, the worthy woman of Proverbs, or the New Testament character of Lydia is perfect for the women attending your vacation Bible school. Ruth’s faithfulness to Naomi and God provides a good basis for your VBS lessons. This topic suits women involved in VBS. Esther prepares to be a princess. This topic works well for teenage girls, showing the preparation required when serving God and living a Christian life and Esther’s obedience to Mordecai. This wealthy woman of the New Testament sold purple cloth and had a New Testament church meeting in her home. Ephesians 6:13-17 Wherefore take unto you the whole armor of God, that ye may be able to withstand in the evil day, and having done all, to stand. Stand therefore, having your loins girt about with truth, and having on the breastplate of righteousness; And your feet shod with the preparation of the gospel of peace; Above all, taking the shield of faith, wherewith ye shall be able to quench all the fiery darts of the wicked. And take the helmet of salvation, and the sword of the Spirit, which is the word of God. Talk about our battle against sin and evil. You can use Ephesians 6:11 ff. about the whole armor of God. Emphasize the strength God gives us with Philippians 4:13 I can do all things through him who strengthens me. 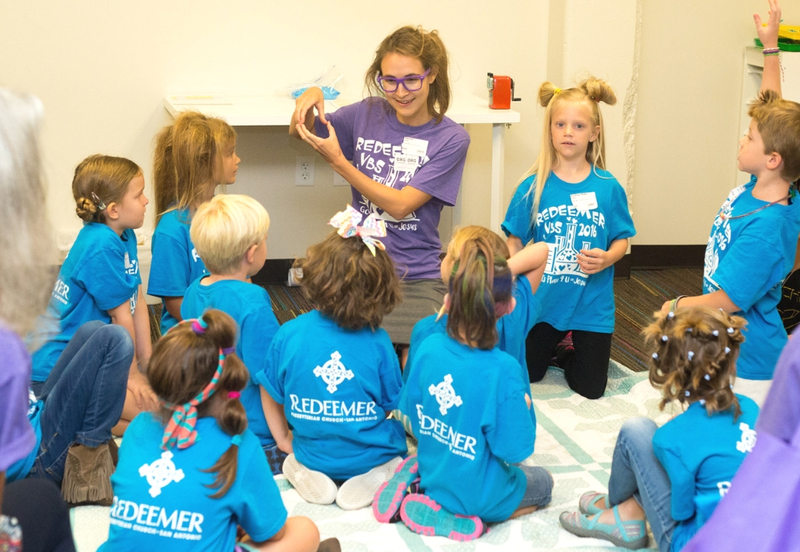 Everyone loves and uses emojis and you can lead your VBS groups in creating emojis to express Christian character traits, the fruits of the spirit, days of creation, etc. 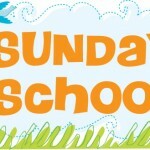 The most enjoyable parts of Vacation Bible School for many children are the activities and games. Those you choose should support your vacation Bible school theme, be easy to understand, and provide a take-home for the Bible students. Our selection of games includes two that work for any age and some for very young children. Your youngest kids will love this game. Line up five buckets in a straight line with the name of one of the first five books of the Bible – Genesis, Exodus, Leviticus, Numbers, and Deuteronomy – on them. Each child takes a turn throwing balls into the buckets and calling out the Bible book name. If they make the first bucket, they win a small prize and try for the second bucket. Each time the child gets the ball in, they receive a prize. The farther the bucket is away from the child, the larger the prize. When they miss a bucket or get a ball into all of them, their turn is over. They will learn Bible book names while having fun. 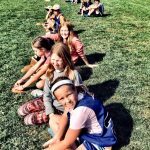 Read aloud 1 Thessalonians 5:11 – “Therefore encourage one another and build each other up, just as in fact you are doing.” Explain that teams are to encourage members as they play this game with words, yells, and cheers. You will need a Bible, paper plates, masking tape, cotton balls, and petroleum jelly for this team relay race. Divide your kids into groups of five to eight players. On one end of a long table, place a paper plate full of cotton balls and on the other end of the table place an empty paper plate for each team. Place a dab of petroleum jelly on each player’s nose. The goal of the game is move all of the cotton balls from the full paper plate to the empty paper plate using only their noses. No hands are allowed. The team that succeeds first wins this game. Arrange chairs in a large circle. Go around the circle assigning each kid a fruit – apple, orange, pear, or banana. When you yell the name of a fruit, all of the players assigned that name jump up and try to find a new chair. For example, if you call out “Apples!” the apples jump up and find a new seat. Each time, you remove a chair and one player is out. The last person remaining wins. This game works well anytime you have items to categorize, such as Books of the Bible – the Pentateuch, The Gospels, etc. – animals on the ark, or the seven days of creation. Each child receives two pre-cut hearts with the middle of one cut out like a picture frame. Older children can write the verse themselves. For younger children, have a verse pre-printed for their use. Put the verse on the inside of the heart frame. On each side of the hearts, place two construction paper figures. Cut pieces of light weight cardboard into shapes representing the pieces of the armor of God. Have children color along the pre-drawn lines and trace over the words representing salvation, peace, etc. For very young children, have a worksheet showing the armor the children can color. Write any memory verse on light weight cardboard. You can use a colorful background, either a solid color or a picture related to the verse. Cut the words out to form jigsaw puzzle pieces. You can have students either work on a puzzle by themselves or in groups. If you wish, make a game to see which group can complete the puzzle and learn the verse first. Older kids can make and cut the puzzles themselves. Children learn religious tenets through fun, age-appropriate activities. Children lean life lessons that help them be good people and develop positive character traits. Children get a “camp” experience without needing to stay overnight. Adults grow in their knowledge of God and His plan for His people. Adults get to serve others and share what they know about God and Jesus. Although in the past they ran a full week of summer, now congregations serve their communities with fewer days and even offer evening sessions. 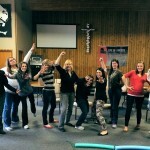 Church staff and members volunteer to teach and provide games and activities. 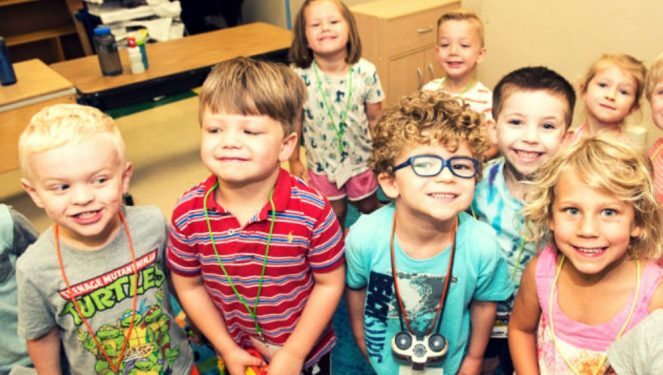 We have provided theme choices for your congregation to use with preschool through adults. Choose the perfect theme for your congregation and have fun!